We reserve VIP Entrance to skip the line. 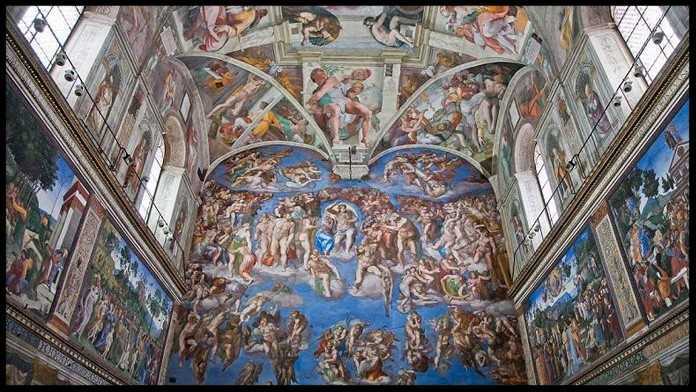 The tour includes Sistine Chapel, the Vatican museum and Saint Peter's Basilica. Before going to the Sistine Chapel the guide reveals you all the secrets and the struggles that Michelangelo had to go through to finish his work. In the museum you will visit the amazing galleries full of Roman and Greek sculptures, frescoes and decorations. At the end the guide skips the line and takes you directly to Saint Peter's Basilica. She will show you the most famous spots of Christianity and over all Michelangelo and Bernini's masterpieces. We can arrange a longer and more complete visit of the Vatican museum for those who wish to see Julius II and Borgia's apartments or any other jewel of the museum.